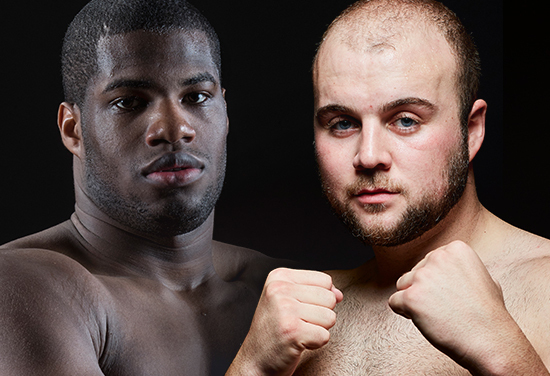 NATHAN GORMAN BELIEVES a stoppage victory over Razvan Cojanu for Daniel Dubois at the Royal Albert Hall on March 9 might just prompt the Londoner to expedite a highly-anticipated encounter between two of the top young heavies in world boxing. The Nantwich-based Gorman laboured a little in overcoming the tall and awkward Romanian in December and eventually prevailed via a convincing unanimous decision at the Manchester Arena. Now it is Dubois’ turn to take the test against the former world title challenger and Gorman suspects a spot of one-upmanship will come into play when boxing returns to the spectacular South Kensington venue that could lead to a ‘down the line’ fight edging closer. “It is a two-way street that fight,” explained the 22-year-old. “I can see either Daniel knocking him out early or Razvan cuddling him and doing little tricks then getting to round seven or eight and still doing the leaning on with little elbows, shoulder in the face. “It will test Daniel’s heart but, on the other hand, he could have the perfect style and end up knocking him out. “I hope he does, I really do,” added the 15-0 Gorman – who returns to the ring at the Morningside Arena in Leicester on February 23 – believing it will fuel the confidence of the 21-year-old Dubois to accept a thrilling domestic duel between the pair. “He’ll probably think, in his own mind, if I’ve knocked Razvan out I can knock Nathan out and he might get the cojones to fight me. Elsewhere on the show at the Royal Albert Hall, Nicola Adams OBE will look to make history and be the first female crowned World Champion at the venue as she challenges for the WBO World Flyweight Title on International Women’s Day. Liam Williams puts his newly won British Middleweight Title on the line against Brentwood bruiser Joe Mullender. Archie Sharp defends his WBO European Super Featherweight title and 14-0 unbeaten record against 11-0 Lucas Ballingall. Johnny Garton will also be in action defending his British Welterweight Title.